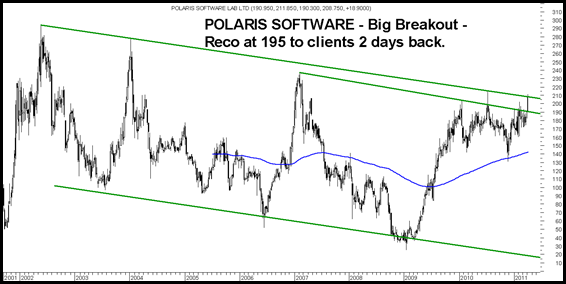 Recommended to clients at 195 on Monday with a target price of 215 and long term its a major breakout may head to 250 after one dip from 215/230. 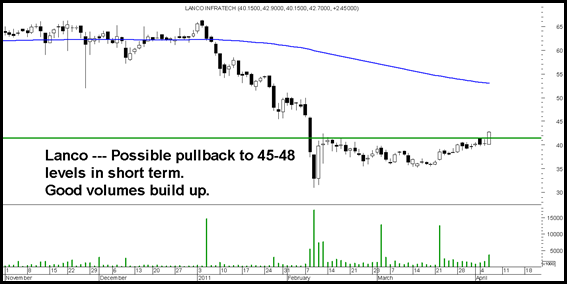 Lanco Infra – All infra stocks seeing lots of volumes- buying interest is back and valuations attractive. Stock could head to 45-48 in near term. 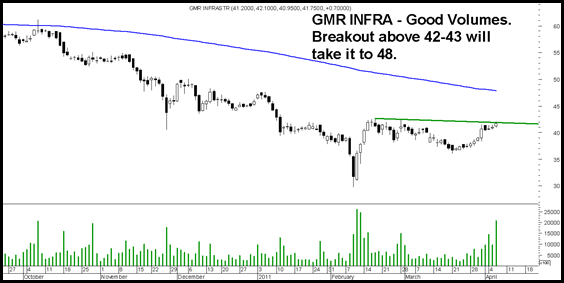 GMR Infra – May head to 48 and test 200 dema. 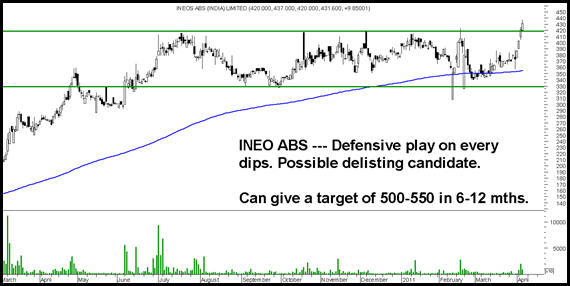 INEO ABS – A possible delisting candidate with a possible target of 500-550 in next 6-12 mths. Fundamentally very attractive add on dips. We have updated the performance reports on Analyse Options and Commodity Advisory services which is our new offering and has continued to offer good returns to traders. Nooresh ji, i have gmr infra..wat should be the sl if holding fr short term?